Hello everyone. 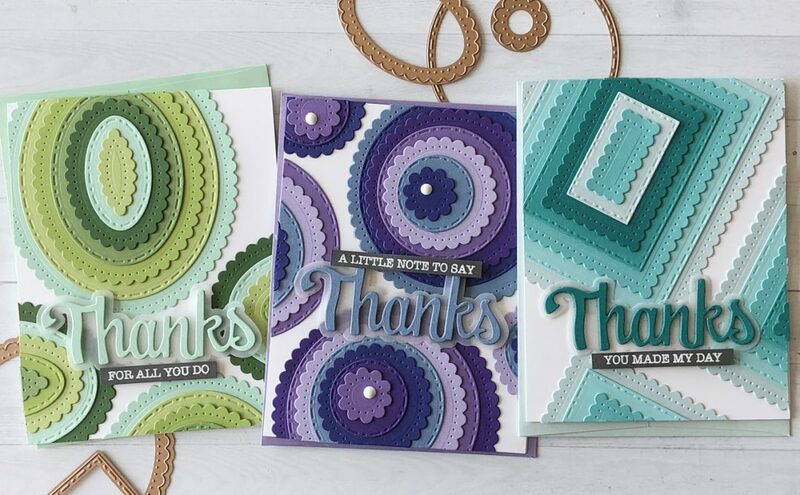 This is Nichol Spohr and I’m thrilled to be here today with a set of thank you cards featuring layered backgrounds created with the Fancy Edged Rectangles, Circles, and Ovals dies. 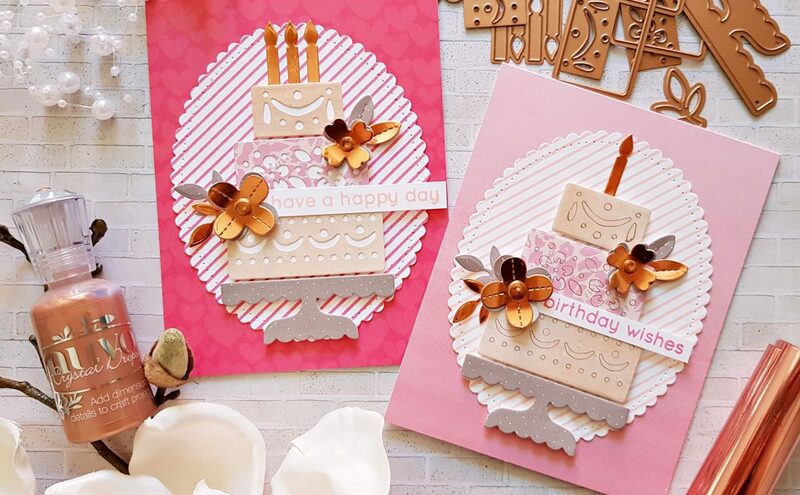 Tone-on-tone cardstock creates beautiful layered backgrounds. 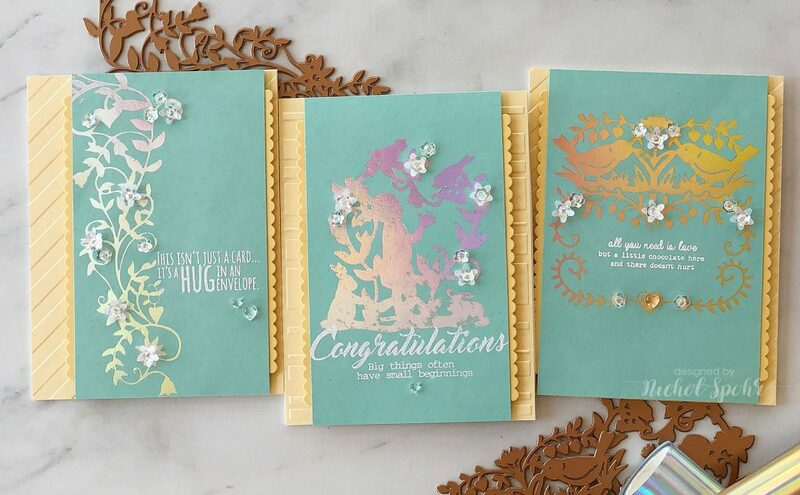 A simple die cut greeting and a stamped sentiment phrase strip is all that’s needed to finish each of these cards. 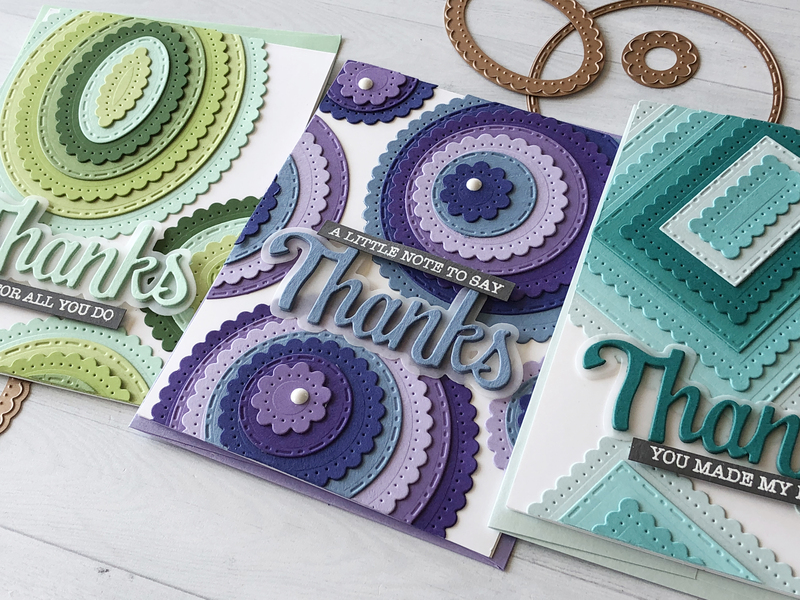 The Fancy Edged Rectangles, Circles, and Ovals were die cut from multiple colors of cardstock and layered to create the backgrounds for each of the cards. The images were stacked largest to biggest and adhered slightly hanging off the edge of a white card base. Any excess was trimmed off with scissors and used to fill in white space on the backgrounds. Mixing up the sizes on the background adds additional interest. I made sure not to make each stack of shapes start with the largest die and filled in the smaller areas with smaller shapes. 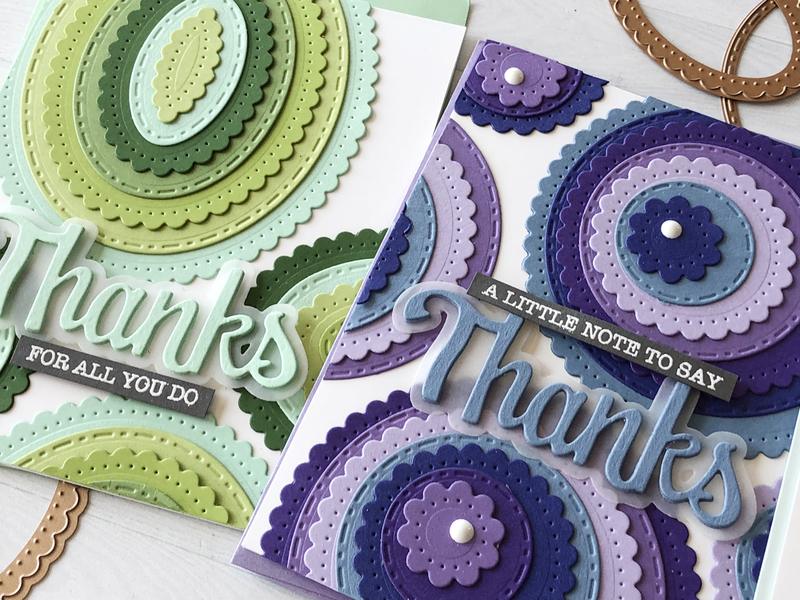 On each card the Thanks Expressions greeting die was die cut three times from one of the colors of cardstock used on the card and glued one on top of another. The thanks layer was die cut from vellum and the stack of greetings was adhered to the vellum die cut before being place on the card. 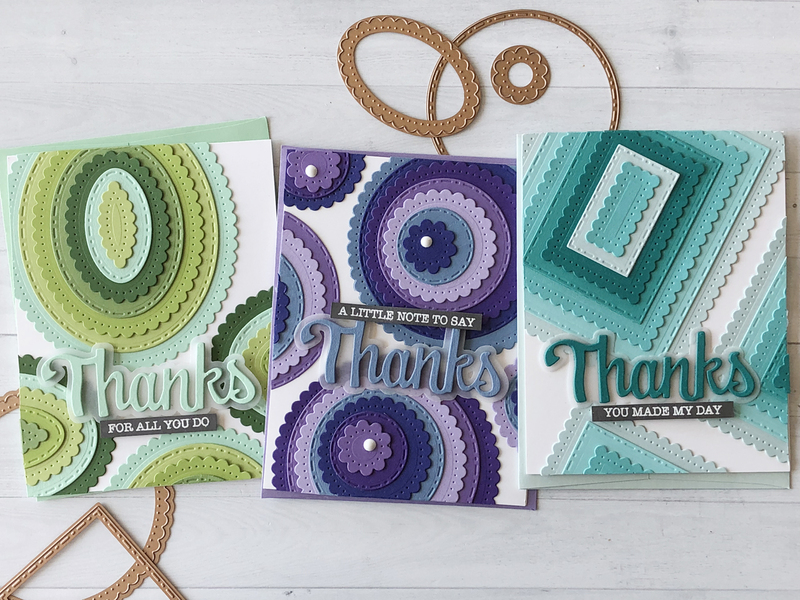 An additional sentiment phrase form the Thanks Expressions stamp set was stamped on dark gray cardstock with embossing ink and heat embossed with white embossing powder before being trimmed into a thin strip and adhered to the cards as shown. I hope this has inspired you to layered backgrounds with the new classics die cuts. 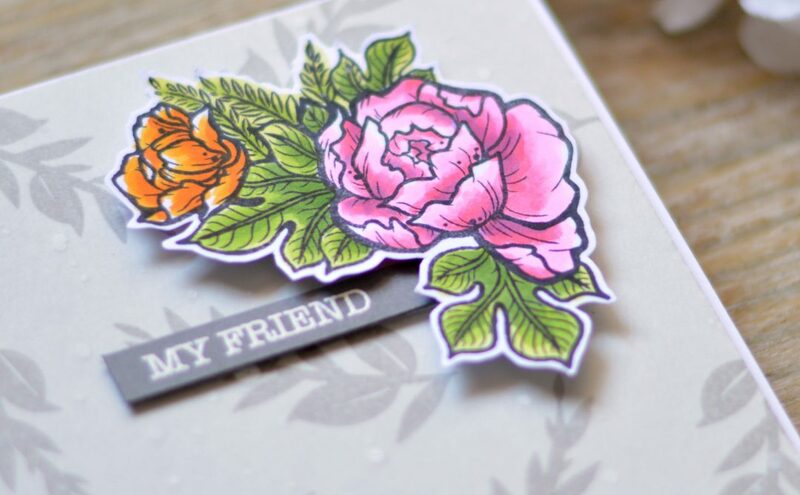 Thank you so much for joining me today and I look forward to sharing more die cutting ideas with you soon! I love this. My first dies were Spellbinders Nestabilities, and I have lots of shapes I think would be perfect for this. It’s always wonderful to see a project that I can make with the supplies I already have on hand. Thanks so much for the inspiration. Really like the looks of these cards – WOW.